Our P-Series® Phenolic fibreglass or FRP grating is the optimal alternative for installing in areas where smoke cannot be allowed to evolve. The product can also be used for lowering fire risks. 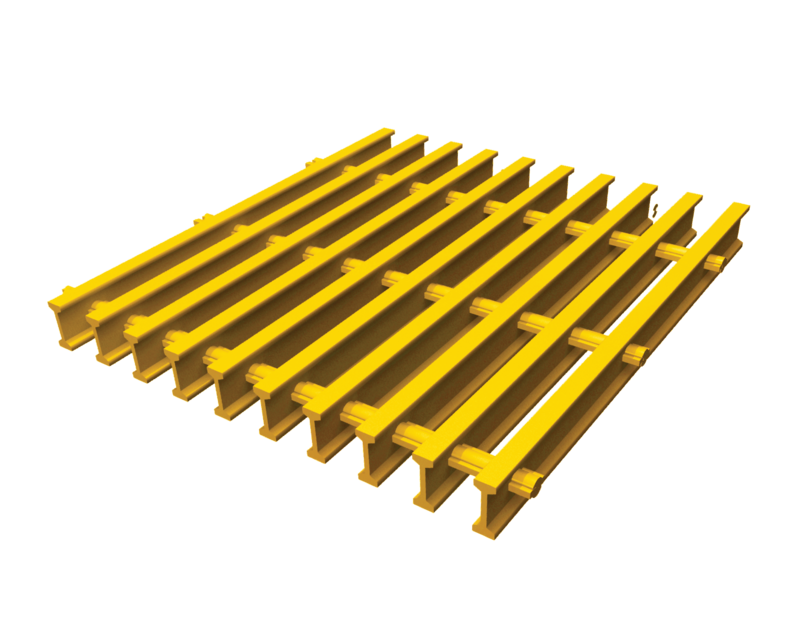 Based on the employment of the latest production equipment and by utilising quality raw materials, Treadwell has developed an exclusive range of leading offshore composite grating solutions. EX-Series® Phenolic Grating is approved by the US Coast Guard and is acceptable for use in areas and applications as outlined in the US Coast Guard Safety Manual Vol III. 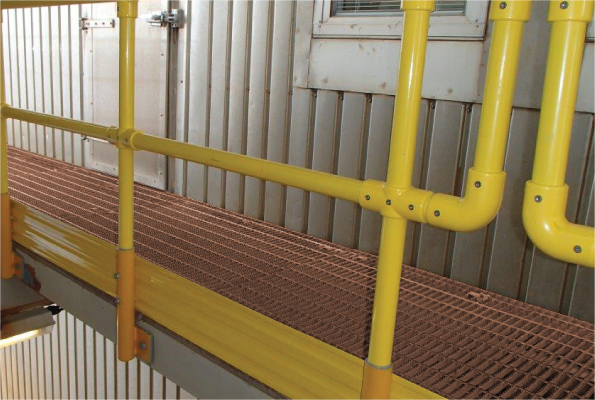 EX-Series® Phenolic Grating can extend up to 70 percent more than the same sized steel grating. In addition, P-Series® can also return to its natural shape if the design load is exceeded. Phenolic Grating is 65% light than steel bar grating. The product can be easily installed manually. The load bars of the EX-Series® Grating System are broader than metal grating, making them less subjected to fatigue as compared to traditional steel bar grating. 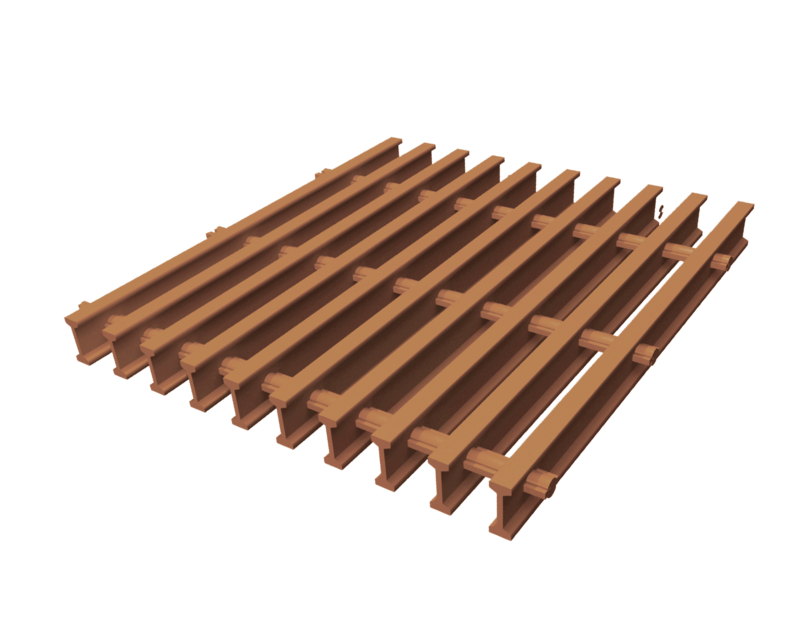 FRP grating is also not sharp like serrated surface grating. EX-Series® Phenolic Grating system is laminated by an outer layer of Phenolic resin. This offers an ultimate fire resistance solution while maintaining strength required.